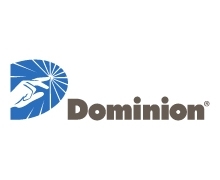 Dominion [NYSE: D] is one of the nation’s largest producers and transporters of energy, with a portfolio of approximately 26,200 megawatts of generation, 15,000 miles of natural gas transmission, gathering and storage pipeline, and 6,600 miles of electric transmission lines. We operate one of the nation’s largest natural gas storage systems with 1 trillion cubic feet of storage capacity and serves more than 6 million utility and retail energy customers. 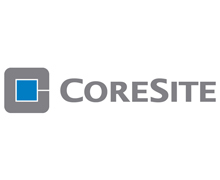 CoreSite Realty Corporation (NYSE:COR) delivers secure, reliable, high-performance data center and interconnection solutions to a growing customer community across eight key North American markets. More than 1,000 of the world’s leading enterprises, network operators, cloud providers, and supporting service providers choose CoreSite to connect, protect and optimize their performance-sensitive data, applications and computing workloads. Our scalable, flexible solutions and 400+ dedicated employees consistently deliver unmatched data center options — all of which leads to a best-in-class customer experience and lasting relationships. For more information, visit www.CoreSite.com. 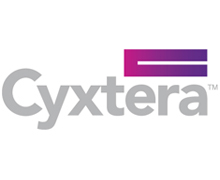 Cyxtera Technologies combines a worldwide footprint of best-in-class data centers with a portfolio of modern, cloud- and hybrid-ready security and analytics offerings – providing more than 3,500 enterprises, government agencies and service providers an integrated, secure and resilient infrastructure platform for critical applications and systems. For more information, visit www.cyxtera.com. 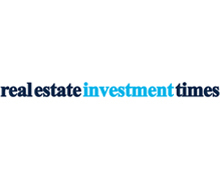 Iceland offers great opportunities for foreign investors where an advanced economy meets low corporate taxes and incentives for foreign direct investment. Iceland provides abundance of sustainable energy from hydro and geothermal resources, offers a European legislative framework and maintains a highly skilled workforce. 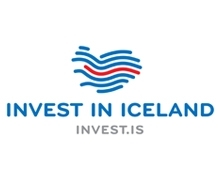 Invest in Iceland offers a free of charge service in guiding you through the regulatory framework and help find successful investment opportunities in Iceland. It’s also our job to make sure you are meeting the people you need to know. We have a network of some of the sharpest business leaders, money people, and legal minds on the planet. Our attorneys are always looking for ways to leverage our resources on clients’ behalf. We help you move your agenda forward and deal effectively and efficiently with obstacles that come between you and your goals. Responsive, aggressive problem-solving is a Mintz Levin hallmark and the foundation of the firm’s success and growth since 1933. 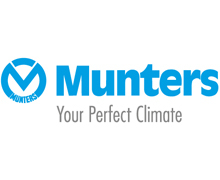 Munters is a global provider of energy efficient air treatment systems with over 350,000 air treatment systems installed worldwide, offices in 30 countries and over 3000 employees. We are the leading international provider of evaporative air cooling, temperature and humidity control solutions. Our award winning energy efficient Oasis™ IEC (indirect evaporative coolers) are installed in a wide variety of data centres across North America, Europe, Asia and Australasia. These configurable systems circulate the primary air from the white space through heat exchangers which are cooled using a combination of outdoor air movement and evaporation. Using Munters advanced heat exchanger technology and efficiency fans the Oasis series gives you a product you can rely on for cooling your data center. 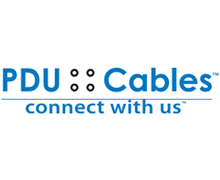 Welcome to PDU Cables, the leading manufacturer of prefabricated data center power distribution cable assemblies in the United States since 1981, where technology, quality, innovation and creativity are taken to the highest level and customer service has real meaning. 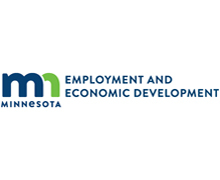 Our 85,000+ square foot corporate headquarters and manufacturing facility is located in Minneapolis, Minnesota where you will find a dedicated staff of manufacturing specialists assembling and testing each and every custom cable we build. With our experienced sales team providing unsurpassed product knowledge and excellent customer service, it’s no wonder why over 5,000 data centers have chosen PDU Cables as their supplier of choice for custom prefabricated power cable assemblies. 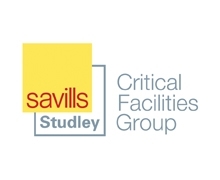 Savills Studley’s Critical Facilities Group provides strategic consulting and transaction advisory services to users of outsourced IT infrastructure solutions, including colocation, cloud and managed services. The team’s converged expertise in the areas of technology, mission critical real estate, and corporate finance deliver innovative solutions that meet the technical, operational, and financial goals of our clients. 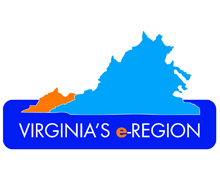 Virginia's e-Region is marketed by the Virginia Coalfield Economic Development Authority - VCEDA - a regional economic development organization created by Virginia's General Assembly in 1988 to enhance and diversify the economic base of the seven-county, one-city, coal-producing region in southwestern Virginia. Since its creation in 1988, VCEDA has helped bring over 20,000 jobs and more than $190 million in approved funding for 290 projects throughout the coalfield region. The region includes Lee, Wise, Scott, Buchanan, Russell, Tazewell and Dickenson counties and the City of Norton. It is an emerging East Coast center for key areas for business - electronic information technology, energy, education and emerging technologies. 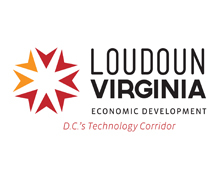 A trendsetter in broadband and 4G wireless access in rural America, Virginia's e-Region has low costs of doing business, the workforce, tailored training, available buildings up to 285,000 sq. ft., sites up to 800 acres in new technology and business parks, and a way of life that makes employers and their employee families very happy. To encourage diversification and create new jobs, VCEDA manages unique financing programs funded by taxes paid by the coal and natural gas industries in the region. Financing is based in part upon the number of new jobs created, wage rates and amount of private investment. The region has low-cost electrical power, and is home to several data centers and operations of companies such as Northrop Grumman, CGI, and Serco. 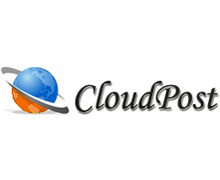 CloudPOST aims to provide useful content to the Cloud community. CloudPOST was created for the sole purpose of offering timely, relevant information to cloud experts, data center and IT and managers. Today, we’re doing the very same same thing—telling you what makes today’s cloud tick, and tomorrow’s cloud as well. Our daily posts are contributed by senior cloud experts, and other industry experts. CloudPost works hard to get the most current information to add relevance to a successful cloud environment. 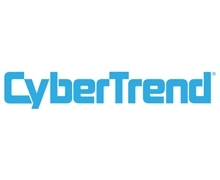 CyberTrend is a monthly magazine dedicated to informing business leaders about new technology trends and solutions. Covering the latest developments, research, products, and services in areas such as digital security, cloud computing, the Internet of Things, data analytics, mobility, data center management, networking, storage, and communications, CyberTrend helps readers make intelligent technology decisions for their organizations. CyberTrend has an international reach, connecting with C-level executives, business owners, entrepreneurs, and mobile professionals through print and digital distribution. CyberTrend primarily reaches executives through its premium print distribution at corporate aircraft locations and airline VIP clubs nationwide. 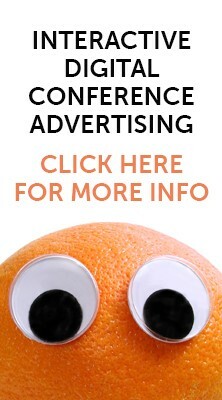 CyberTrend also reaches IT professionals through partnerships with technology events throughout the year. For more information, visit www.cybertrend.com. 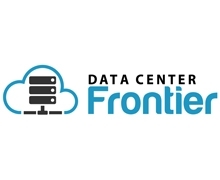 Data Center POST aims to provide useful content to the data center community. Data Center POST was created for the sole purpose of offering timely, relevant information to data center and IT and managers. Today, we’re doing the very same same thing—telling you what makes today’s data center tick, and tomorrow’s data center as well. Our daily posts are contributed by senior IT and business executives, and other industry experts. Data Center Post works hard to get the most current information to add relevance to the successful data center. In today’s mission critical facilities, there’s no room for downtime, security breaches, or lack of planning. A well-oiled data center is the foundation of success for any size enterprise. But getting there requires dedication, education, knowledge-sharing, an insatiable appetite for technology, and a commitment to business excellence. Data Center Post aims to bring the data center community together to realize all of the above. We’re a knowledge base, a news portal, and a timeless beacon for the data center industry. Understanding the industries that serve our clients is at the foundation of iMPR. Enhancing relationships and fostering community development, the firm represents industry-leading companies and associations including NANOG, OPEN-IX Association and the Northeast DAS & Small Cell Association. Additionally, to meet the strategic need of its clients, iMPR maintains strategic memberships and affiliations with leading organizations such as the PRSA, Pacific Telecommunications Council, New Jersey Tech Council, Greater New York Chamber of Commerce, Internet Infrastructure Coalition, and more. Demonstrating years of expertise in advertising content and design as well as strategic media buying, iMPR serves as the Advertising Director for Beka Publishing’s online and print magazine properties including: ChannelVision, GlobalVisionand Inside/Outdoor. Telecoms.com is the definitive source of news and analysis for the global telecoms industry. 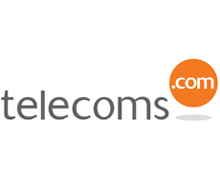 Launched in 2001, Telecoms.com is a highly respected and independent news portal covering the latest technological advancements and market trends, focussing on the key business and technology issues facing the industry today. Our impartial investigation of industry activity is supplemented by regular in-depth features, executive interviews and opinion pieces. Our website attracts 86,000+ unique monthly visitors and our daily newsletter is delivered to over 47,500 key decision-makers in the global telecoms industry. Our brand is active across the key B2B social media platforms, with over 22,000 followers on Twitter @telecoms and 2,500 members in the LinkedIn Telecoms.com Group.